You might see me post a lot of white cars, followed by black cars, but I also do get cars that are other than black and white that come by to get work done as well. 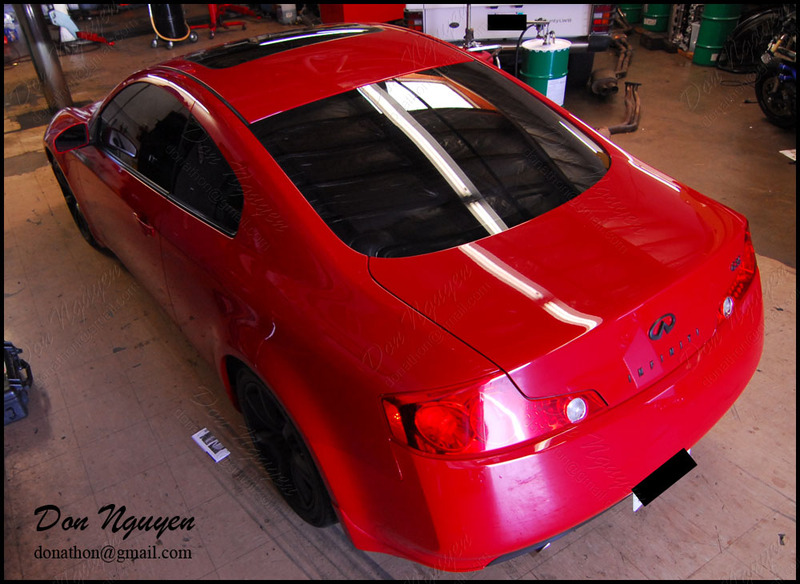 I thought the gloss black roof for this red Infiniti G35 coupe turned out very well. 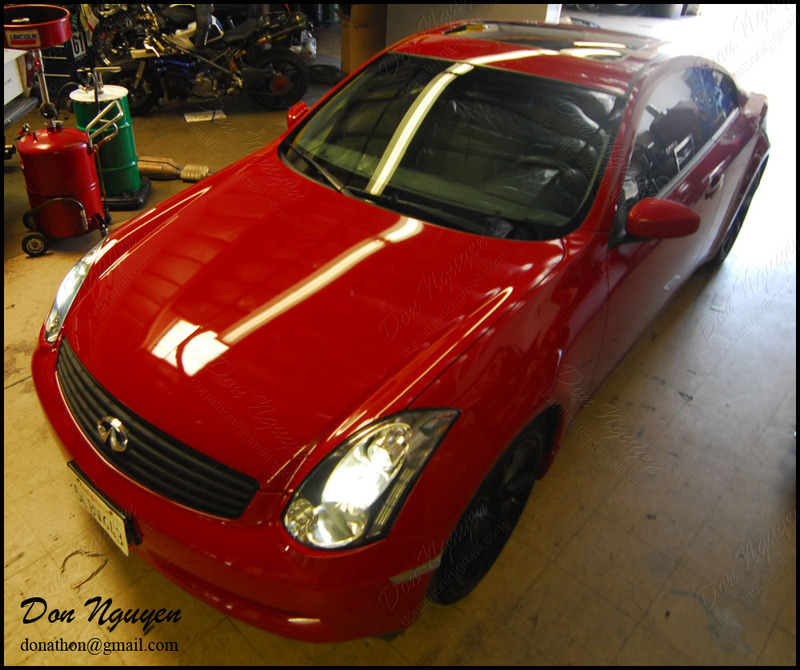 The gloss black roof went well with the black/dark colored rims that were already on the car, which was the look that the owner of this car was trying to go for. He drove out to me in Anaheim Hills/Orange County to have the work done.